Drones are getting popular and known by people around the world. Many people have interest to use it because it offers the features to record video, take picture and even also people having fun with flying it into the air just for play with drone as a toy. Beginner to the professional users does not matter but the product itself needed to known by the users. This article will discuss about the specification between Syma products which are Syma X5C and Syma X11C. Both of products is different, adjusting with your needs and if you are feeling confused to choose which one is better between them, this article will help you with the answer. Syma X11C is entry level quadcopter which is offer the 2 MP HD video camera to take the great shoot while you flying it. Syma X11C is good product for beginner and also intermediate user. a smart design with a strong propeller guard, and solid stabilization that makes for easy flying. Syma X11C is so inexpensive, in amazon.com, you will get this product with 40$ or 20$ without camera. Syma X11C with its micro size, really fitted to flying it indoor and easy to use. This product is also good for play because this product is durable and flexible. Syma X11C claims it has HD Camera, in fact the quality of video recording is standard and not really good especially when the drone in the unstable position. This product is not suitable to record in windy conditions. The conclusion is both of product can you get with affordable budget, the quality of product is good and design is very great but the average both Syma X5C or Syma X11C each of them has the limit of battery life, Syma X5C is able to stand for 7-10 minutes, and Syma X11C for approximately 8 minutes. 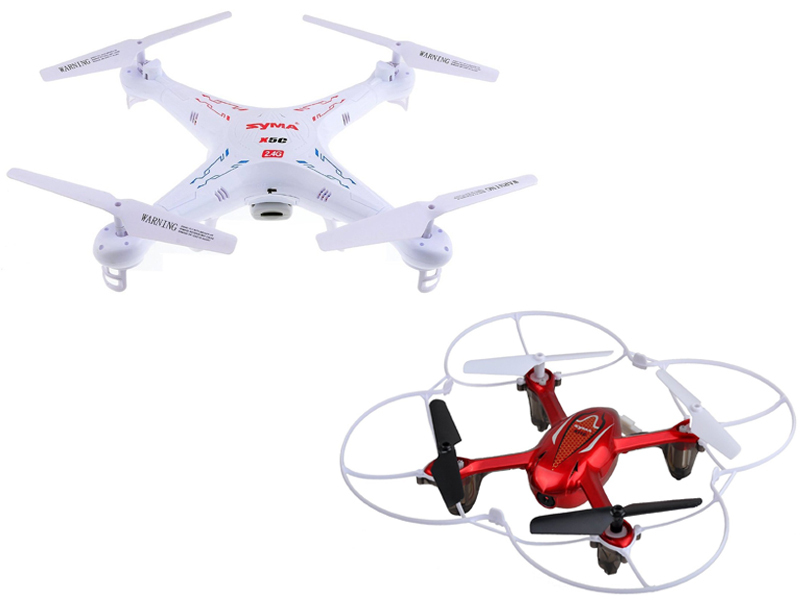 If you want the inexpensive quadcopter which is small enough to play it indoor both of product is the exact choice.